The LK-135 is the ideal introduction to the illuminated key learning system. The greater range of tones and the new Dance Music Mode will inspire you to practice diligently. Easy dance tune playback – Just touching the keys is all it takes to play dance music expressing a DJ mood. 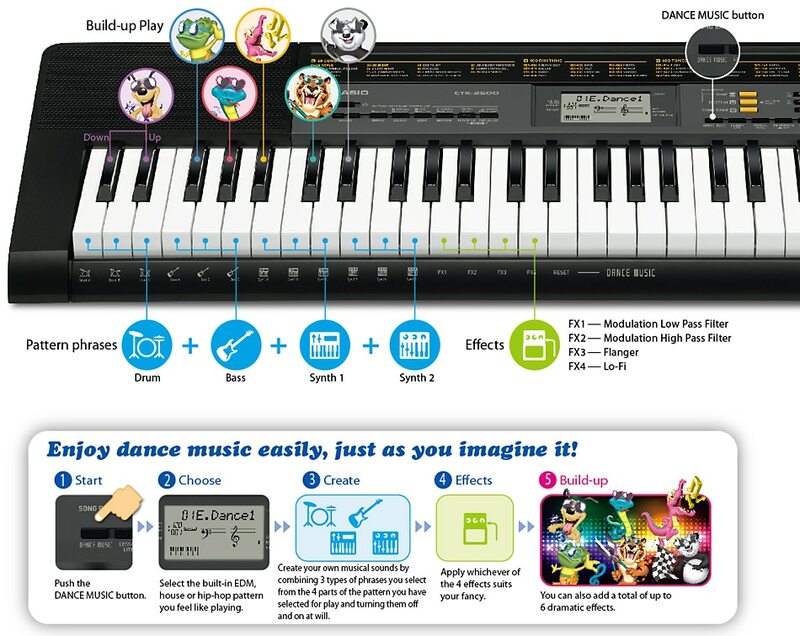 Or you can use Build-up Play to apply sound effects characteristic of dance music for even more fun.